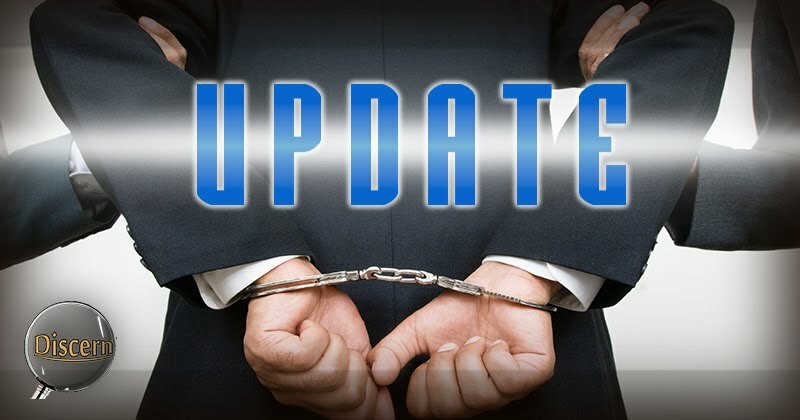 In this week's report we hear news of actual arrests of political Cabal criminals worldwide. This includes those within American borders along with other foreign leaders with Cabal ties. According to the update, these people are being rounded up and placed under house arrest. If all goes well, this will be over very quickly. Here are Kent Dunn and Gary Larrabee with the details. Gary Larrabee - Kent Dunn: World Political Leaders Being Rounded Up! As stated, these developments may seem difficult to believe, but according to multiple sources, these events are very real and are currently progressing with surprising efficiency. Various reports from multiple sources seem to corroborate quite well with regard to this ongoing mass arrest process of the global Cabal. We may remember from the Secret Space Program whistleblower, Corey Goode, that as of several weeks ago, all of the Earth syndicates had largely completed negotiations for their surrender. This was the information he revealed a number of weeks ago in an interview on the series, Cosmic Disclosure, on Gaia.com. Here is a short excerpt from that interview with David Wilcock as host. We may have also read the updates of Benjamin Fulford on the roundup of the Khazarian Mafia. Here is a short excerpt from Fulford's update for the week of December 12, 2016. It appears that Fulford's information conquers with a number of other sources on the mass arrests of these Cabal criminals. Though he does state that some of these cabalists are planning to fight until the bitter end, it appears that their overall control over the planet is rapidly ending. We may remember from the December 5th update from Fulford, how both the Pizzagate scandal and the mass arrests of pedophiles within the United Sates was an ongoing process. Here is a short excerpt from that update. The arrests of these cannibalistic pedophiliac monsters is accelerating in the US to the extent that Skull and Bones Secretary of State John Kerry flew to see Pope Francis last week to ask for mercy for his group only to be turned down, Pentagon sources say. Benjamin Fuldford's commentary along with that of Corey Goode, of Larrabee and Dunn all seem to point in the direction of significant world progress toward freedom. As we consider these events, it may seem as though we are only spectators sitting at the sidelines while all of these events transpire. We may feel as though we have no roll to play in this fight for freedom. However, this could not be any farther from the truth. These events are actually a direct result of our unified choice to be free as a planet. Each time we hear of new progress being made toward Cabal arrests, toward financial liberation, or the defeat of the Khazarian mafia, we must remember that it is our positive energy and our choice to see these things take place that contribute to manifesting these events. Just as Kent reminds us, it is our desire, our choice to focus on that which is productive, and on that which we truly desire (as opposed to that which we do not desire) that helps to create world change. By maintaining this collective vision, we are all helping to create the world we want to see. This is the effort to which Dunn referred when he spoke of keeping our vibrations high. As long as we continue focusing upon the highest good and the greatest possible outcome, we will see it. It is only a matter of choosing to maintain the positive mindset needed to see these things come to pass. In regards to the financial aspects, Swissindo has been making some huge moves towards debt relief and basic income. Recent breakthroughs in Indonesia have seen the cabal banking cartel further pressured to stand down and allow the flow of the new financial system to continue. Most of this news has come through www.swissindo.news although many people refuse to acknowledge or accept the validity of Swissindo due to previous successful attacks against the Swissindo mission. Is it true that John Kerry is involved with Swissindo? Keep spreading truth! We the people are waking up!